Purpose: To observe how the different metals react when put in water, and what their pH levels are. 1. Examine and describe the various metals. 2. Label test tubes with the symbols for the metals and add a small piece of each metal to the appropriate test tube. 3. Add about 10 mL of distilled water to each test tube and record observations. 4. 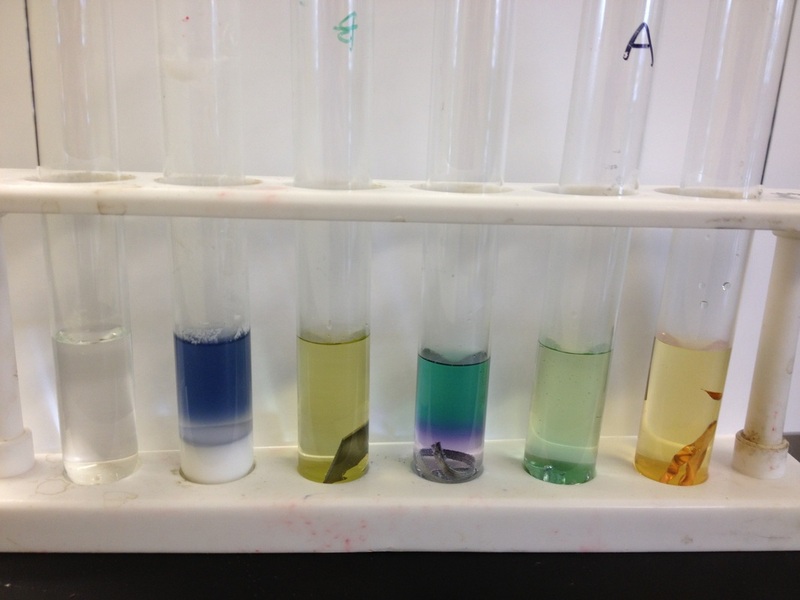 Add a few drops of universal indicator to each test tube and record observations. 5. Heat the contents of each test tube and record your observations. 6. Let the test tubes stand overnight and record observations the next day. 7. Arrange the test tubes from least to most reactive and draw or describe the contents of the test tube. 8. Watch the sodium demonstration and record your observations. *note: pictures shown, unless otherwise specified, are after the weekend. With indicator: tiny bubbles, green at top with teal underneath but stopped before it got to metal. With heat: blue/teal is mixing up, tiny bubbles on metal, purple under teal, won’t touch the metal, moves away from the metal, does not want to touch the metal. After weekend: purple, bubbles on metal. 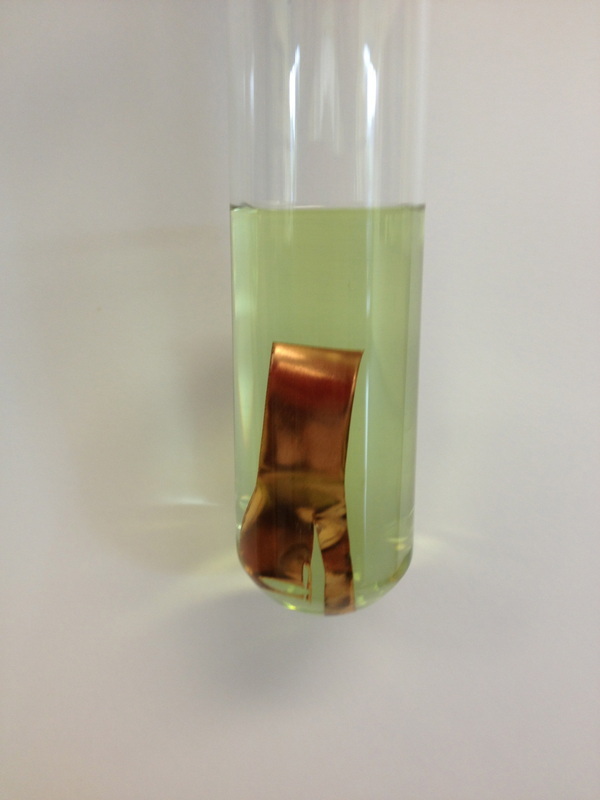 With indicator: green but looks like oil, on top, now yellow moving down, whole test tube yellow. After weekend: leaf green color, one bubble on copper. With indicator: faint yellow green. With heat: turned clear light green. With indicator: olive green looks like oil. With heat: turned a clear yellow. After weekend: liquid lightly yellow. Metal has an orange substance on it. dissolved rapidly, lots of bubbles, rushed up fast, smoke coming off, rings of bubbles rushed up and out of test tube, solid-like on bottom, test tube really hot. With indicator: dark purple, white at bottom, purple getting lighter and cloudy, whit moving up into purple. Heat was unnecessary. 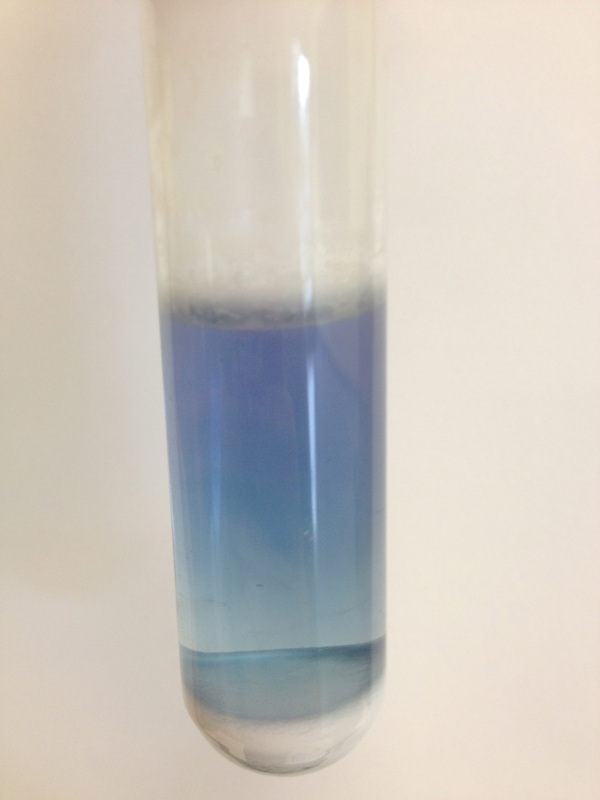 After weekend: small ring of white, ring or purple at bottom, light blue liquid. Test tube coated with white substance. 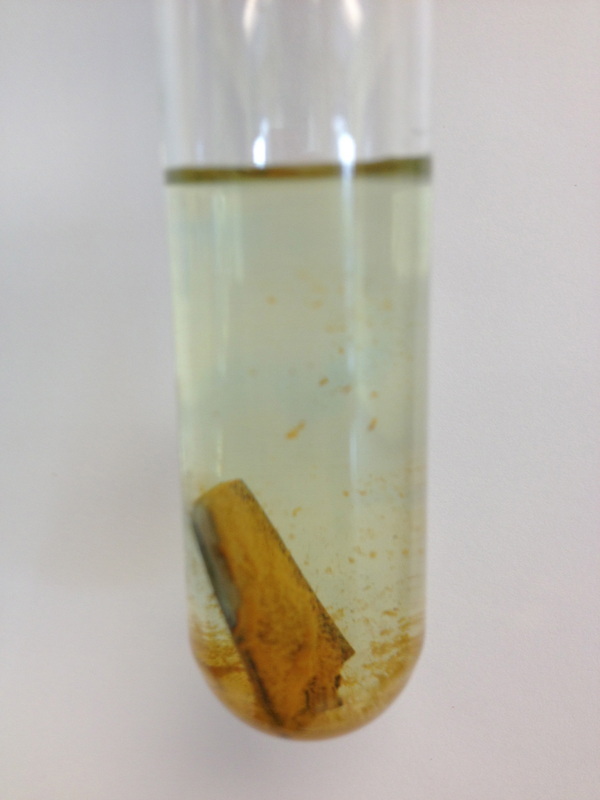 Sodium: sodium sank when dropped into test tube. 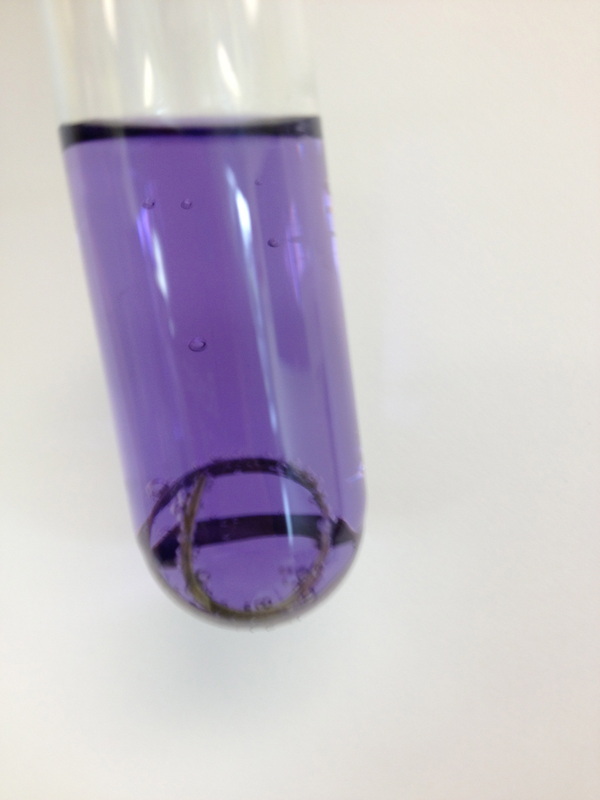 Started turning purple, purple moved out on the distilled water, started bubbling as purple spread out, rose to the top of the distilled water. Started moving around while it was fizzing. Then it caught fire and moved around and then it exploded. The next piece of sodium we put in didn’t explode but crackled and sparked. 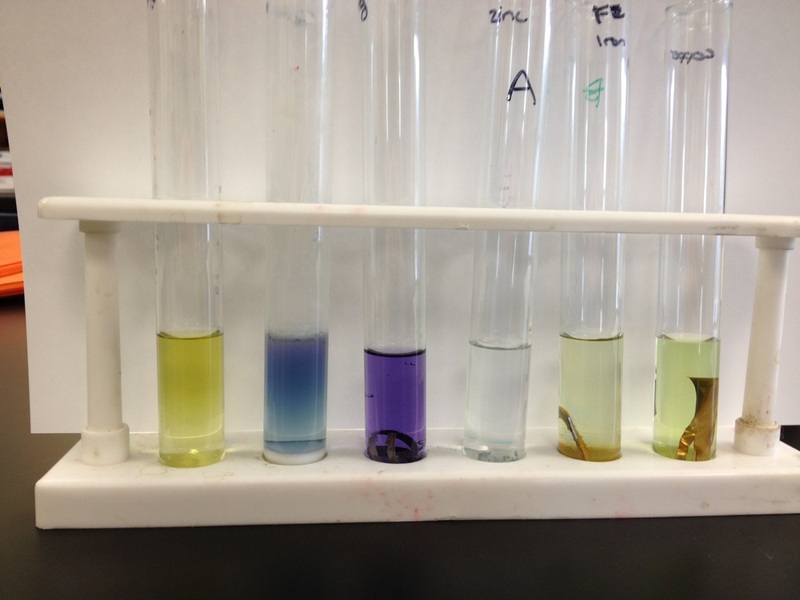 The different metals were effected differently by the water. Some reacted vigorously, while others hardly reacted at all. 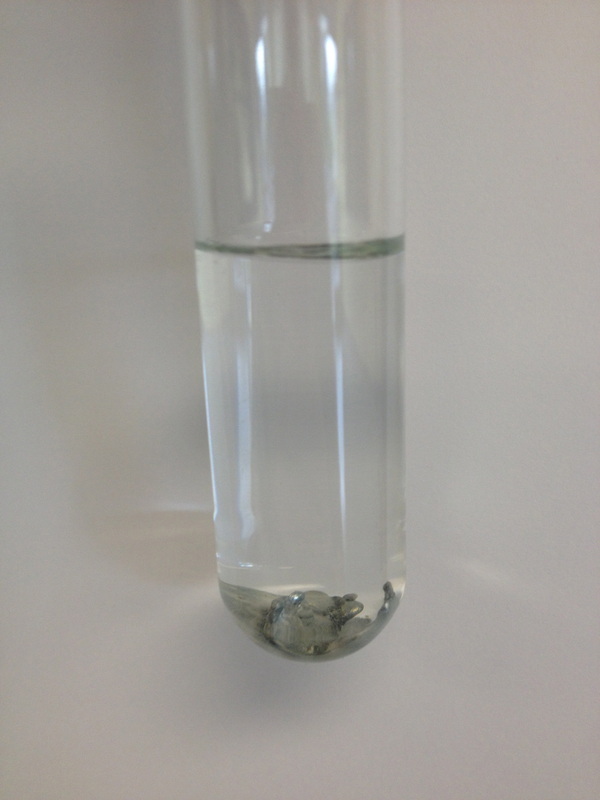 After the reaction, however, there was always a base and hydrogen had been released.